Keeping your wines away from external factors that can damage them is the main reason you should invest in a refrigerated wine cellar. In addition to functionality, many wine connoisseurs also want a tastefully designed room for their collection. For them, an attractive wine room adds beauty to their home, and is something that they can be proud of. Find out how your Texas residential wine cellar can be a safe and exceptional haven for your precious vintages. Transforming an empty room into a functional and unique wine cellar is not as easy as 1, 2, 3. 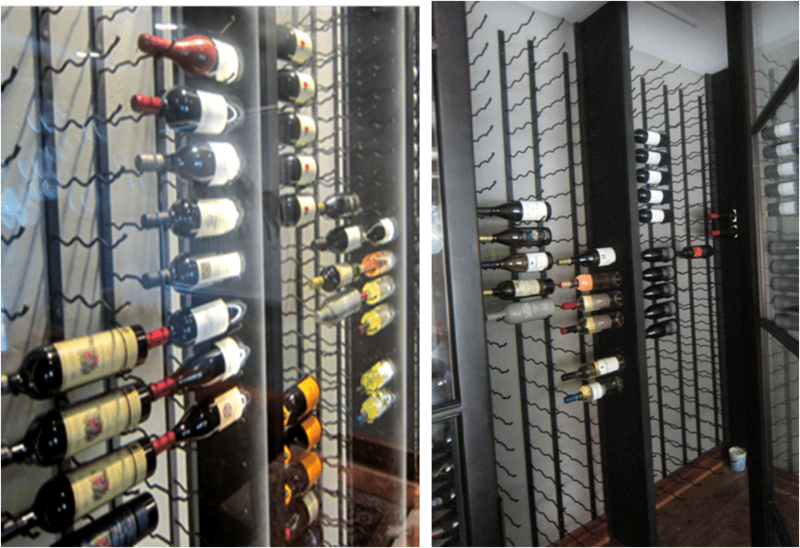 Planning, designing, and installing a wine room must be done with expertise, craftsmanship, and creativity. This will ensure that the finished product meets the owner’s storage requirements, style, and budget. It is important to work with a Texas designer and builder who will determine and install the right components in your residential wine cellar. A well-built storage facility will protect your collection from harmful external factors, while increasing your home’s aesthetic value. 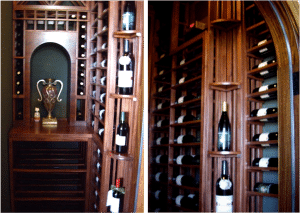 Wine Cellar Specialists is a master builder in Texas who has been in the industry for many years. Their goal is to install functional custom wine rooms with impeccable design. They see to it that the room to be used for the project is tightly sealed, cooled with the right refrigeration system, and built with great features. They can transform any room into a gracefully designed custom wine cellar, and a safe haven for your wines. Storing your collection on the kitchen shelves or boxes will result in unpleasant taste and aromas in wine. Wine needs to be stored in a not too cold or not too warm environment to preserve its desirable characteristics. If you are a serious wine collector who wants to store wine for months or years, it is ideal to invest in a climate-controlled and tightly sealed residential wine cellar. What’s the purpose of sealing Texas residential wine cellars? Cool temperature is one of the requirements in proper storage of wine. This is why it is crucial to ensure that the room is sealed tightly. With the proper seal, the cool air from the cooling system will be optimized. No cool air escapes the cellar, and no warm air enters it. Expertise and keen attention to detail are needed in sealing a cooled wine cellar. Wine Cellar Specialists is known to have one of the best teams that have the extensive knowledge and experience in sealing wine storage spaces. There are many parts of a wine cellar that need to be sealed, like the walls ceiling, doors, and windows. A wine room, which is intended to be cooled by a refrigeration system, must be installed with a vapor barrier. The vapor barrier can be a high-density closed cell urethane foam or 6-milimeter plastic sheet, installed on the exterior wall of your wine cellar. When installed properly, condensation will occur in your wine cellar. Moisture causes formation of molds and mildew, which can damage the quality of your wine, your wine labels, and the structural integrity of your racking. The cracks and all the wall cavities on the walls and ceilings must be sprayed with expanding spray foam or a water-based sealant. 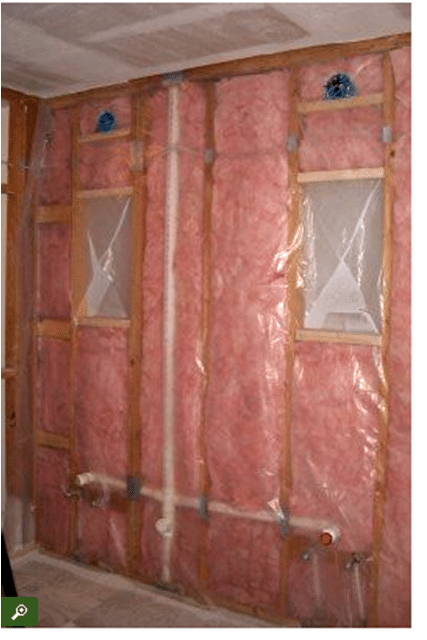 In addition to the installation of the vapor barrier, the room must also be insulated. Experts believe that there is better insulation in rooms with thicker walls. The minimum wall insulation can be R-13 or R-19. For the ceiling, the ideal insulation should range between R-19 to R-30. In addition to walls and ceilings, your wine cellar door must also be sealed. Without a proper seal, there will be air leaks even when it is closed. Warm air can enter and cool air can escape the wine cellar through a gap around the door. It is for this reason that the entryway of your storage room must be weather-stripped on all edges. Another component of a well-sealed door is the automatic door bottom. This mechanical device is necessary to fill the gap at the bottom of the entryway to your cellar. Not only that; it also prevents scratches on your floor caused by door dragging. Wine cellar entryways should also be made of an exterior grade material, with thickness of 1 ¾ inches. For glass doors, the glass should be double-paned and tempered. Another way to avoid air leakage in your wine room, your windows must be made of high quality frame, and insulated glass. A good sealant is ideally used to achieve airtight seal. 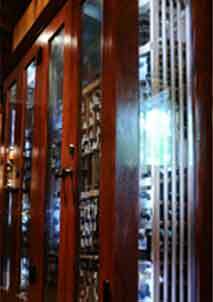 Wine Cellar Specialists manufactures premium wine cellar doors equipped with sealing components. View their wine cellar door gallery. After sealing the room, the next step to ensure that the optimal conditions are maintained in your wine cellar is to install an efficient refrigeration system. 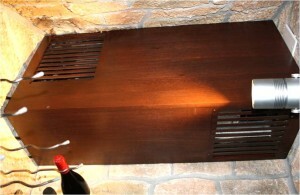 Consider as the “heart of a wine cellar”, your cooling system must suit your storage requirements. It must be of the correct type, size, and capacity, thus it is best to seek help from a specialist. 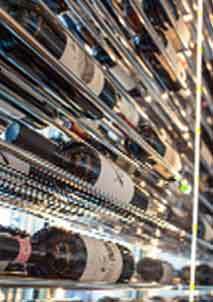 View the different types and brands of wine cooling units offered by Wine Cellar Specialists. More and more wine collectors desire to have an attractive and unique storage space. A beautiful wine cellar provides a great place for decanting and drinking wine with family and friends. It also adds value to your home. It is important to determine and discuss your aesthetic requirements with your chosen designer. Tell them whether you want an all-wood or all-metal wine cellar. You may also go for metal and wood combination. Your racking, flooring, door, and lighting system contribute to the overall appearance of your cellar. The right choice will help you achieve a distinct storage place for your collection. You may also want to add some custom features to your wine room, such as wine barrel carvings, art murals, and rolling ladders to add elegance to your storage room. 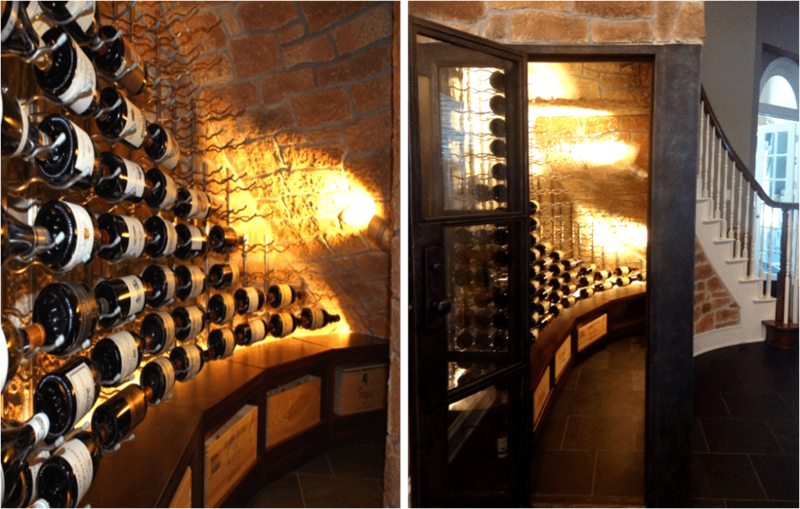 Wine Cellar Specialists has completed tastefully designed residential wine cellar conversion projects in Texas. The Nelson wine cellar was formerly a small closet. Now, it is a fully climate-controlled storage space installed with beautiful wooden racking. This project provides inspiration to those who have limited space in their home or apartment. Learn more about this residential project. 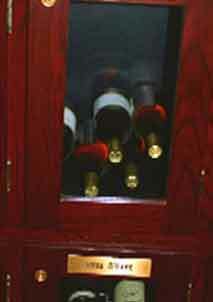 The home wine cellar built in the White Rock Lakes Area shows excellent craftsmanship by Wine Cellar Specialists. 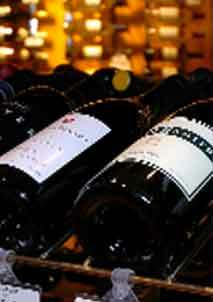 The bottles are displayed in metal wine racks from Vintage View. The storage racks are mounted on the wall, making it ideal for limited spaces. View more about this modern wine cellar. In Coppel, Texas, a space under the staircase was transformed into a gracefully-styled wine cellar. The owner wanted a contemporary designed racking using both metal and wood. The Vintage View metal racking on the wall displayed the wines beautifully. The wood case storage with tabletops are installed below the metal wine racks. Check out the different features of this wine room. Do you have an empty room that you want to turn into a unique and safe wine storage space? Whatever your needs are, Wine Cellar Specialists can help you have your own distinctive residential custom wine cellar. Contact them today at 866-646-7089 or fill out their wine cellar design request form. Request a 3D design package for FREE.